In our daily sessions, we deeply explore possibilities for our characters and plot that stretch the boundaries of our creativity. We seek out characters whom we might otherwise never discover. We conceive plot twists and turns that might never before have escaped the fetters we often put on our imagination. The chemistry and culture of my retreats are indispensable to these expansions of our boundaries. Our circle of woman writers somehow nurtures the most amazing breakthroughs! It’s not one person, it’s all of us! I can’t pinpoint what happens… it just does! Each day, we weave our writing and our creativity together, while we explore the journey of fiction writers as women. Or I should say, “journeys”, because though there’s a surprising degree of similarity among our journeys, we also discover and share differences that we’ve experienced. Whether you’re a writer who’s just beginning to write, or one who’s been creating fiction for decades, this sharing of experiences is truly illuminating… it makes the twists and turns of one’s own path as a writer more comprehensible, less daunting, more rewarding, more fun. Whatever your writing experience, you'll become a part of this Circle of Women Writers who are open to the daring, passion and fun of creativity! At least once (if not every morning), do awaken in time to watch the sun rise over the ocean. It’s truly spectacular. ​Once you’re up, you’ll appreciate the luxury of our instant and endless hot water when you’re showering. Because everybody tends to shower at the same time before breakfast, without this feature your morning shower might not be so hot! After a sound night's sleep, our creative minds need to be awakened gradually for the glorious day ahead of us. Blueberry muffins, fresh fruit or berries, oatmeal, yogurt, eggs and bacon, fruit juice, sometimes pancakes, a lovely selection of fine teas, and above all freshly-ground coffee. Note Well: I’m a coffee maven, so you’ll find our coffee to be your best ever! Each day, after our delicious Breakfast, we share a three-hour writing workshop between 9:00 and 12:00. We use prompts, images or various other writing exercises I’ve developed, all of which are designed to stimulate your imagination. I want you to go to places in your writing where you ordinarily wouldn’t go! We write for 20-60 minutes. Then each of us reads her work, followed by critiquing by the group. My teaching during this period is done via my critiquing. Now’s the time for a word about how we critique. First and foremost, all critiquing must be positive. You may actively dislike what you just heard. Unimportant. Your job in critiquing is to offer suggestions as to how the piece might become better, as well as describing what you do like about the piece. Simple enough. If I don’t like how someone is critiquing, I’ll gently correct her and instruct her. Over the years, I myself have attended various workshops that have critiquing, and I’m quite proud of the manner of my own students’ critiquing, as well as the insightful content. These form quite a contrast with critiquing you may have experienced elsewhere. Since the material we’re writing is just a scene out of the blue, not part of a story or book, our critiquing often takes the form of “What If?” This proves quite effective. If we can help you explore options in the first draft you just wrote, then you will become much more comfortable with using “what if” when you’re at home, working on the next chapter of your book and you really don’t know where it’s going, and your characters are not being helpful in telling you where it should go. Do five good “What Ifs”, and you’ll be amazed at how suddenly your plot and characters fall into place. Scene by scene, suddenly you’ll complete a new and wonderful chapter! All because you learned about “What If” in Bar Harbor! ​Any and all writing you do during the Morning Session also can be evaluated in terms of the Five Ingredients of the Scene. Because typically, what you produce during the 30-60 minutes of writing during our Morning Session is one scene. So whether or not you love your scene, we (the group critiquing it) may love its dramatic tension, or the dialogue, or the mood. Whatever isn’t quite right, can always be improved later! During these sessions, we learn to mine for the jewels of first draft material. You’re always, always producing first draft material as you progress through your story or book. It’s far and away the most difficult part of writing fiction. So learning how to take work (that may strike you as terrible!) and mine it for that one gem that may end up being the most brilliant twist in your plot or unexpected development of your character… is gigantically important! And because everyone is sitting there writing, you learn to stop thinking and instead channel your imagination. Ideas that might be foreign to you suddenly seem familiar. What you’re learning and what you'll take home with you are the desire and ability to communicate with and trust your imagination. That’s creativity! If you can do something once (better yet, six days, six times) you can do it whenever you sit down to write at home. We’re experiencing a Freedom to Fly during the Retreat; be sure you pack it in your suitcase and bring it back home with you! By doing so, when you’re back home again you’ll have grown used to the fun of exploring the depth and breadth of your imagination, whether it pertains to character or plot. Freedom, exploration, creativity, flow, and fun… if I had to define the Retreat in a few words, these are the five I’d choose. Our Chef provides us with a variety of choices for lunch that keep us guessing each day… what wonders will await us after we’re finished with our Morning Session? Our dining table looks out over the Ocean. That, and the food, and our Circle of Women… I ask you, what could be more fun? I keep the Retreat small enough that we really function well together as a group. Everybody’s included, everybody’s involved, everybody laughs together. Sit by our shorefront and meditate or doze or watch the cormorants fishing or chat with your new character. Take a walk along our beautiful, private road with the new friend you’ve made. Sit in some gorgeous location and read. Work on your scene from the morning. Swim at our favorite lake (lovely warm, clear water). Sit with a few other women and chat. 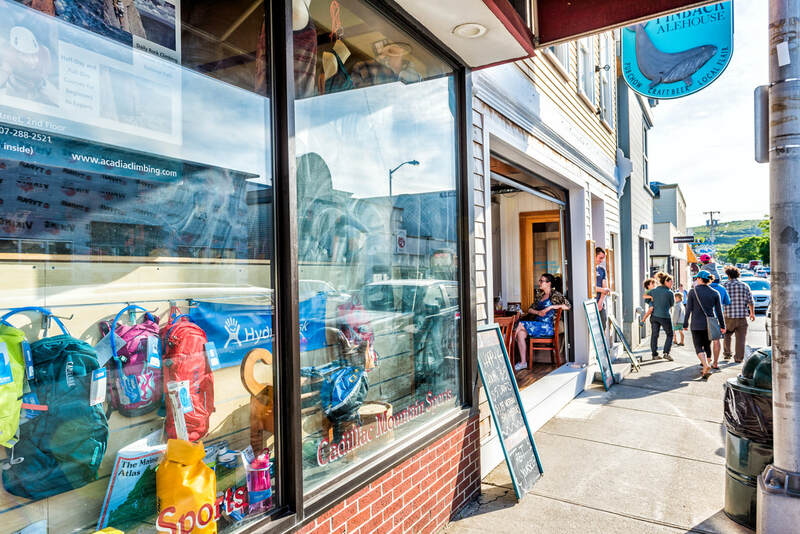 Go shopping in Bar Harbor. On some days I’ll organize a group exploration of one of my favorite places in Acadia National Park. Some join us, some not. Sail on the Naturalist Cruise (sails past Zephyr Shore and among the various islands). Drive to the top of Cadillac Mountain. 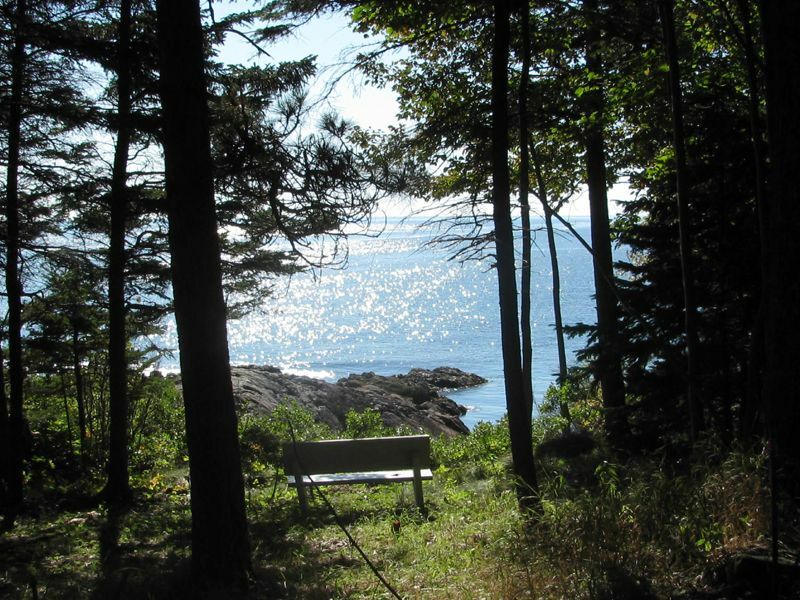 Take my favorite hike along the rugged rocky ledges of Frenchman’s Bay. Climb down into Anemone Cave. 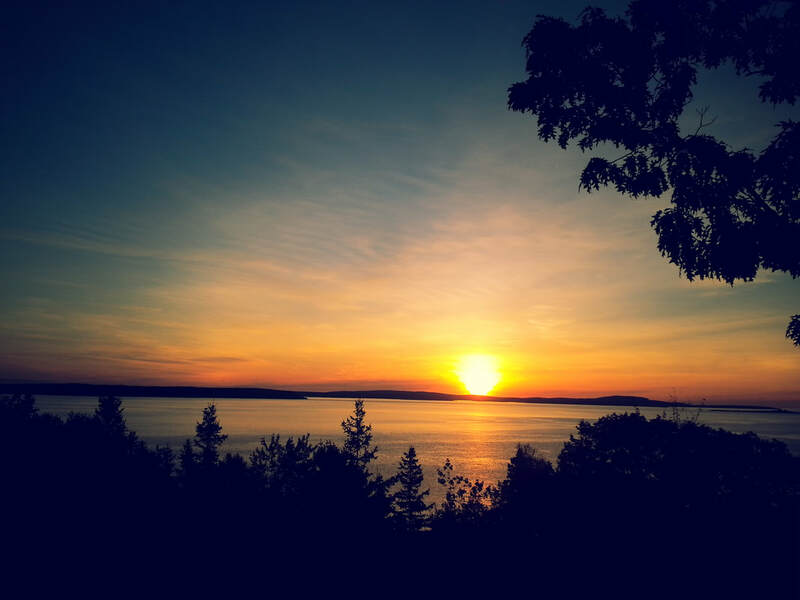 Walk through Bar Harbor, where I’ll introduce you to my favorite shops. This lasts for two hours or so. These sessions are always surprises! I’ve planned these long in advance, but I like to keep my secrets! But the basic theme is of women creating together as part of a circle, and is not necessarily related to writing. (Such Circles go back for millennia in history.) My foremost objective: we’re having fun together. I’ll give you one example of an unplanned activity that replaced what I had planned for the afternoon. One student and I, during our Personal Time, sat together and created stories by clipping pieces of pictures from a magazine and making collages of the pieces on 5” x 7” cards. Then another saw what we were doing and joined us. Before we knew it, everyone had joined in and everyone loved doing it, so we continued with this unique form of “storytelling” during our Afternoon Session. Our dinners (5:30-7:30), prepared and served by our Chef and her staff, are always a highlight of the day! I can best describe them by saying the food is what you’d find in fine restaurants, not what you’d be served at other workshops and retreats! In addition to the quality of the food and recipes, you’ll enjoy professional table service, rather than the buffet style meals so often prevalent at other retreats. ​Examples from past retreats can be seen here. Warning: Save room for Chef’s desserts! Also, our chef is quite adept at accommodating (within reason!) those who have special dietary needs, such as gluten-free, vegetarian, low-salt, shellfish allergy, etc. 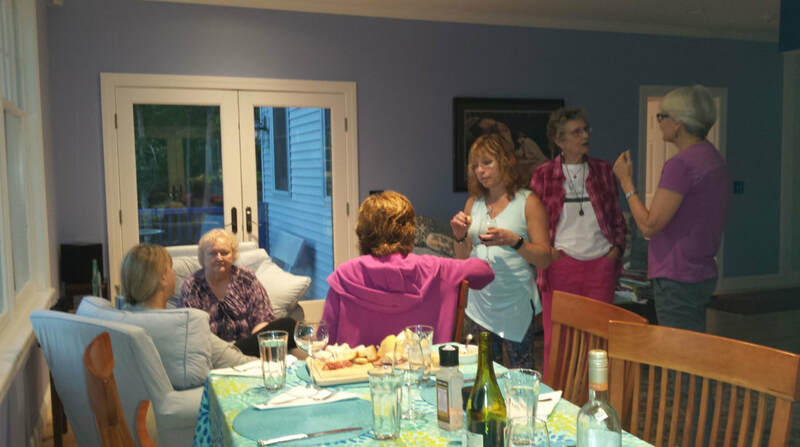 After our delicious dinner, we join together in a casual evening gathering at which we might do Open Reading – read something (up to 20 minutes) you’ve written in the past; or from your One-On-One work with me; or from our Morning Session; or just enjoy listening! On other nights, I’ll schedule a Surprise that’s based on the theme I have for the particular Retreat. However, I'll often modify my prepared plans to take advantage of the flow of the specific Retreat. After our Evening Session is over, there’s still so much to experience at Zephyr Shore. 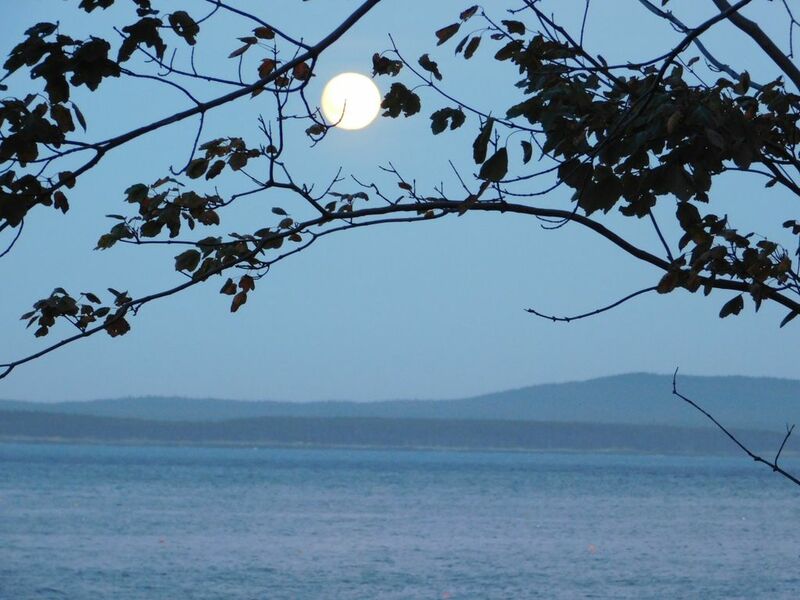 Enjoy Maine’s gorgeous night time starlit heavens for a few minutes before hitting the sack. Just step out onto one of our decks, or walk outside along our driveway or sit on our lawn.